Lucky for me, my daughter is currently studying abroad in Italy. This gave my husband and me a much needed push to go there ourselves. My head is spinning from all we saw over the last ten days. 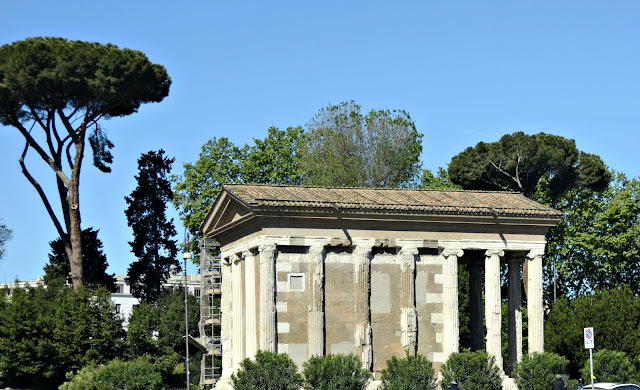 Today, I'm sharing a little of our wonderful Rome experience. 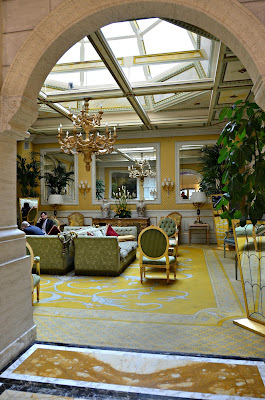 We stayed at the Hotel Splendide Royal. This is one of the beautiful common areas. Each morning we enjoyed a lovely buffet of cheeses, cold meats, pastries, fruits, and more with a great view of Rome from the sixth floor of the hotel. We could see the dome of St. Peter's from our window and we were walking distance from restaurants, shops, the Spanish Steps and Trevi Fountain. 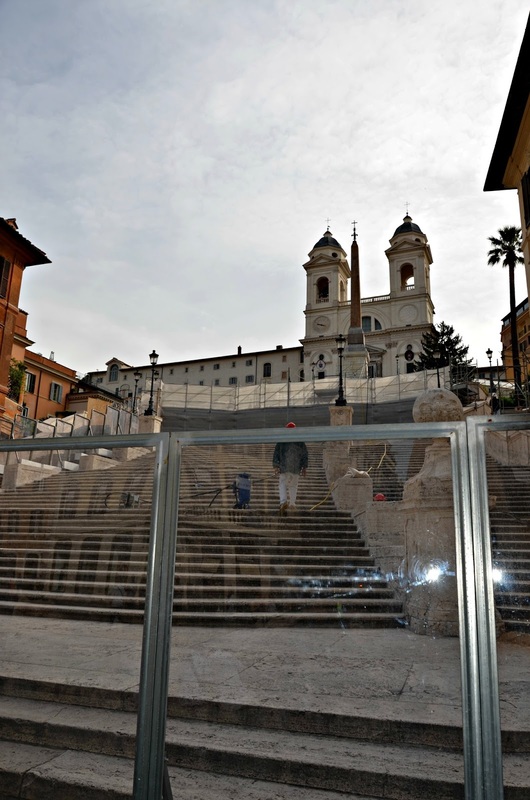 The Spanish Steps were under restoration during our visit, but we saw them through a clear barrier. We learned that the Trevi Fountain is cleaned every Monday morning. 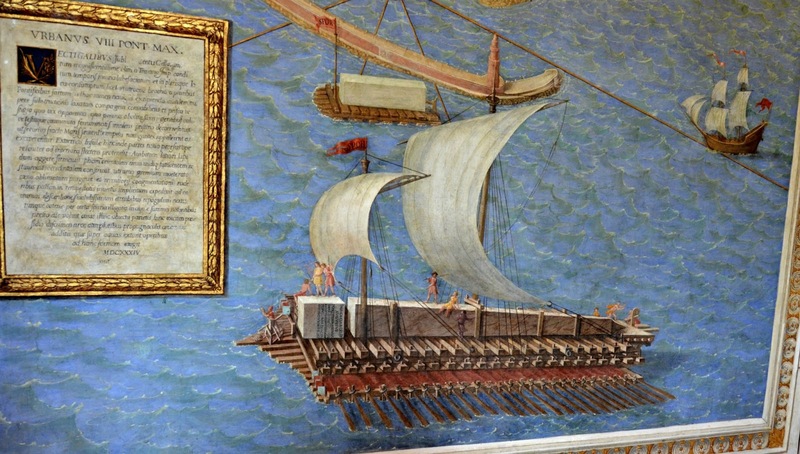 The crew pick up thousands of Euros for the City of Rome in the process. Of course, we went back that night to see it with water and lights! There were a few hundred other people there, too. I was fascinated to learn that ancient Roman buildings survived if they were converted into Christian churches. 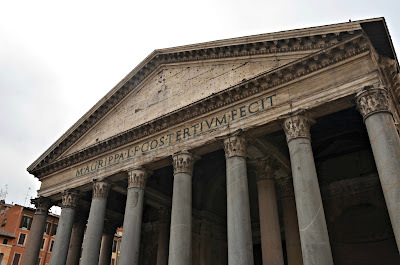 This is the case with the Pantheon. Outside it still looks like it would have 2000 years ago. 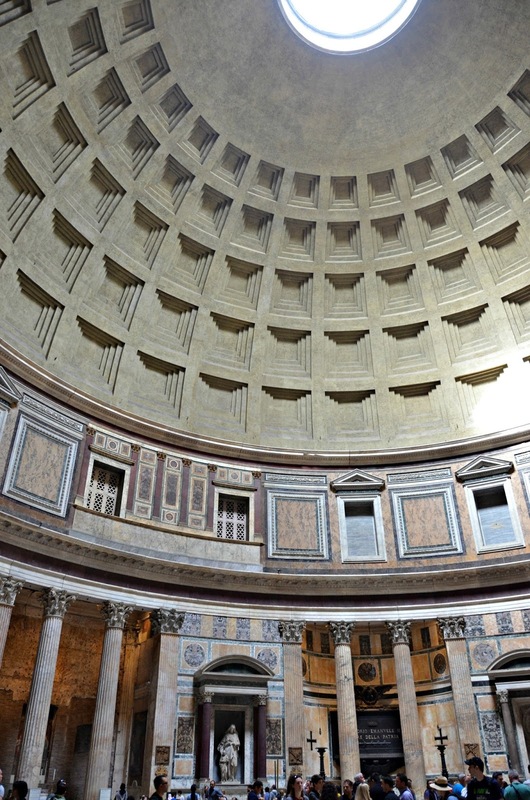 You can see the Christian additions and the interior of the dome in the photo below. 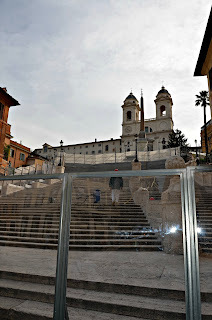 Our guide told us that the Ancient Roman building below was preserved because a church was built inside it. 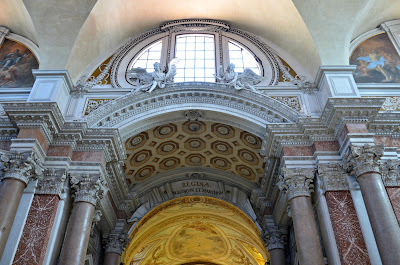 These photos were taken inside a former Roman Bathhouse that had become a beautiful church, Santa Maria degli Angeli e dei Martiri. 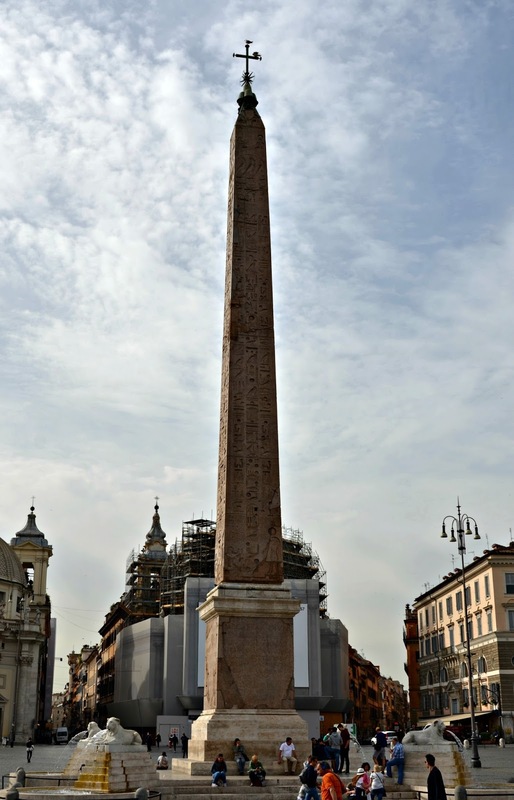 There were huge obelisks around the city that had been transported on ships from Egypt by the Ancient Romans. Quite an undertaking, don't you think? Christians later added the crosses on top. 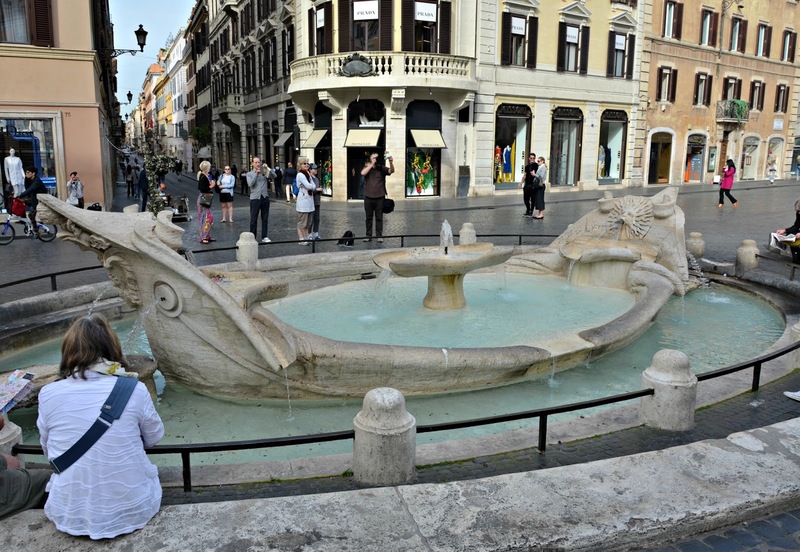 The fountains of Ancient Rome served a practical purpose in addition to their aesthetic one. 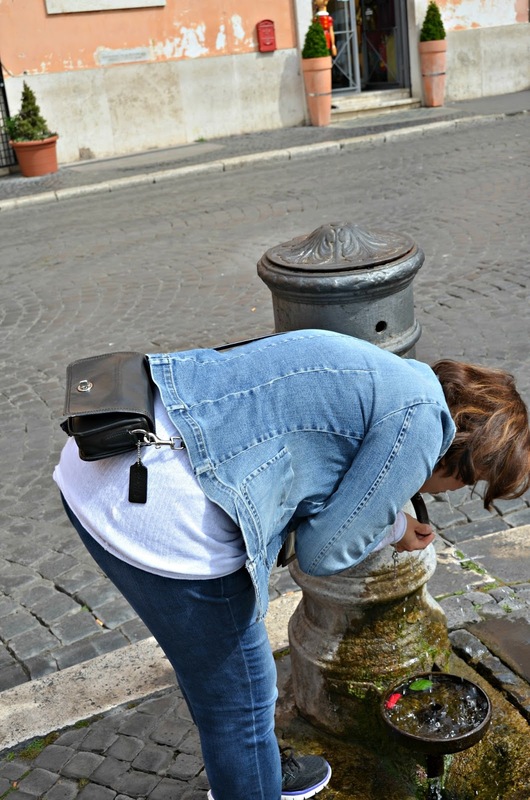 People still drink the water from them today. 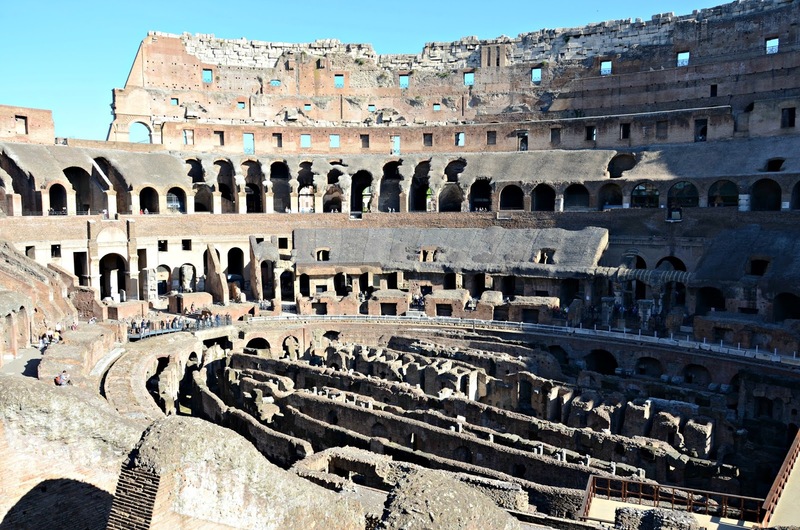 Of course we toured the Colosseum, too. Apparently, it had a complex system of trap doors and elevators to bring the live animals and trees up from a basement level for the events. I don't want to think too much about the events. 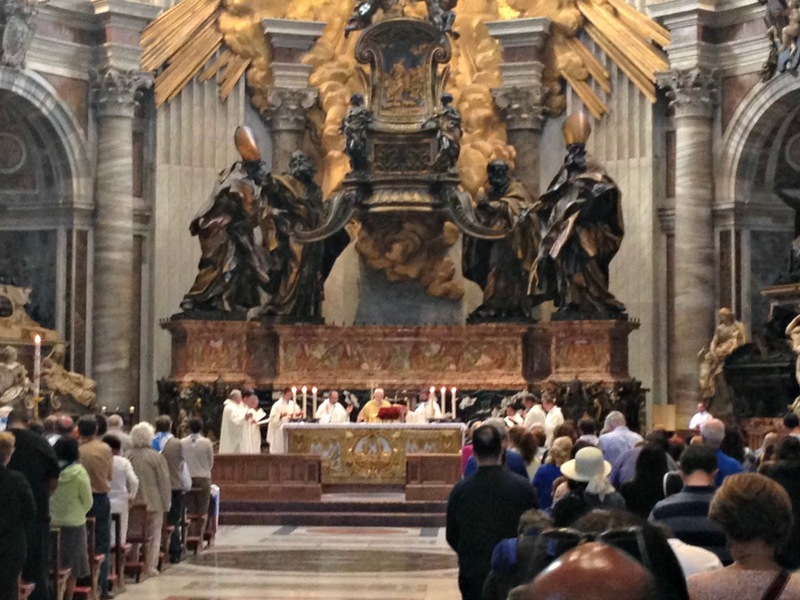 The highlight of my visit was seeing St. Peter's Cathedral. We attended the 5:00 p.m. mass. I will always remember hearing the choir sing a beautiful Ave Maria. The beauty and accuracy of the old maps hanging in the Vatican Museum amazed me. I must haven taken hundreds of photos in the Vatican Museum! That's all for today. I hope to post about our time in Tuscany in the next few days. This was truly the trip of a lifetime! What an amazing city! You managed to capture its stunning beauty in your photos. I love the fact that the buildings that were converted to churches survived. What a testament! Thanks, Lisa. We really enjoyed it! Good Morning and welcome home! I so enjoyed the little snippets of your trip that you shared on FB and I am excited to see that you are going to share them here too. This is a lovely photo essay that you have posted. I will look forward to more. Stacey, It is an amazing place! 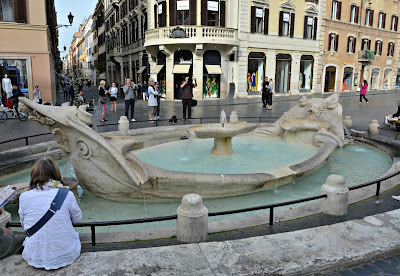 Thank you for sharing your beautiful pictures of Rome! Makes me dream of taking a trip there.You provided some nice details that are nice for anyone trying to plan to trip. I'm coming over from sweet Jemma's blog. 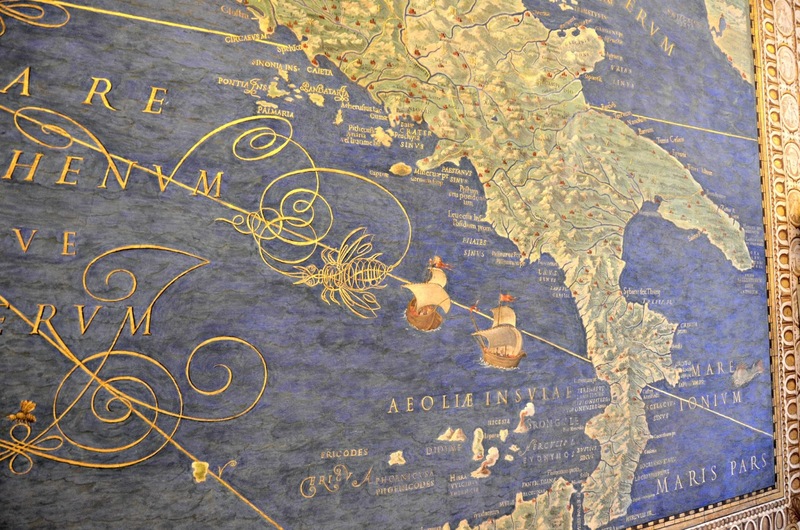 Oh, I've always wanted to see Rome! 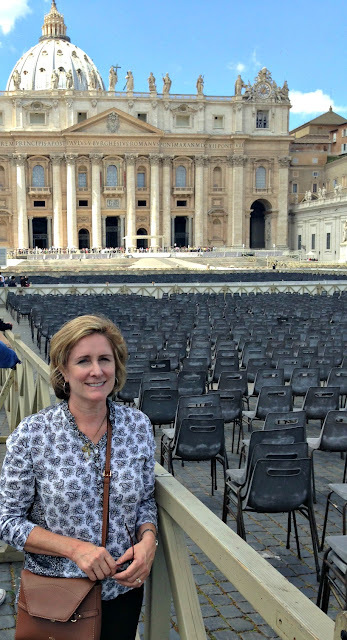 How wonderful that your daughter is studying abroad in Italy. 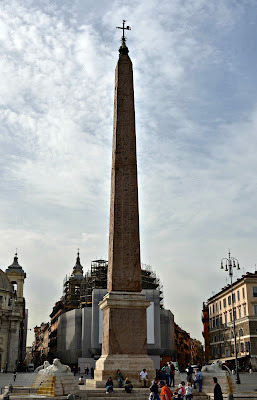 When my daughter traveled to Europe for three months, she went to Rome and saw many wonderful things. Thank you for sharing these pictures today. It is a charming place with much history and old architecture. The Cathedrals are beautiful. So glad our daughters both had such a wonderful experience. What a beautiful vacation and a memory making reason for traveling there. Thanks, Laura. I loved every minute of it. Thank you, Judith. It is an amazing place. 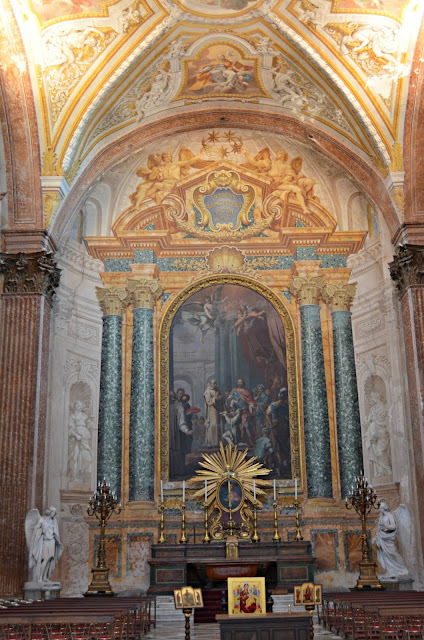 I enjoyed your photos and commentary.To hear Ave Maria there would be such bliss! Your post brought back pleasant memories. I look forward to your next post. Eilis this is now my second time reading this post. The first time it brought back such lovely memories of my own trip. While there we enjoyed the last outdoor mass of the year, decade, century and millennium in October of 1999. We were an arms length away from his holiness, Pope (now Saint) John Paul. Now I am enjoying the images of the Pantheon which I was not able to visit. Just fantastic! Laura, I'm still pinching myself! So many wonderful memories.